If any of you reading my blog ever deign to actually go into my pages where I’ve posted work, some finished some in progress– (this is my subliminal attempt to shame myself into finishing the work–it hasn’t completely failed nor has it succeeded as yet), you will find 1) some typos–because I’ve found them–yes I need an editorial gloss STAT 2) you may come across the novel-in-progress What Does She Want? AND you may, out of generosity, actually go in there and read it, and if so you’ll discover the said-mentioned minor typos, but you will also discover that this is my attempt to create a new reality not only for myself but my character! NO, I will neither defend or attack the writing process as fantasy and reality mixed, at this stage of my life and writing who cares? Yes, no apologies no explanations. However this post is more in the line of a kind of plea, a desperate one at that. For 6 and half years I’ve been under house arrest, landlocked in Chicago due to poverty, subsequent depression, anxiety, sporadic and often non employment, bad paying horrible jobs, food stamps, shelter for a short stint, therapy, no therapy, anxiety attacks, meditation, (that was the good part) well–I have just not seen much movement in the way of outer freedom. Inner Freedom I got in spades! For that it’s been a godsend! But I am dealing with the worst Cabin Fever of the century–six years worth! I need to get out of here! And if you read the above novel-in-progress you will follow along with one of the two main characters, Mona Sterling, as she attempts to leave Chicago and build a Bridge to New York by way of Montana. Of course, that’s the novel, it’s an adventure story. But MY LIFE–not so much! Life is not a novel and I already did Montana! Loved it, may visit again, God knows, but not planning to go back there now. I just want 1 week in New York. I figured if I could somehow save $1500 out of my monthly stipend I might be able to do 4 days in May, including flight and airbnb somewhere in Williamsburg, maybe eating fruit and sandwiches or something, but I figure a full week might actually give me time to look for a job and go to some publishing houses on the off-chance I might even sell my work. You never know. I have faith in the craziness of such ideas. This is where YOU, dear reader, come in. If you could somehow see your way to donating even $10 or more if you can, why, if 50 people donated that would help! My donation page and I would love you. Warning: this is a plea for money! In these days and times artists must beg for patrons and so I am begging! 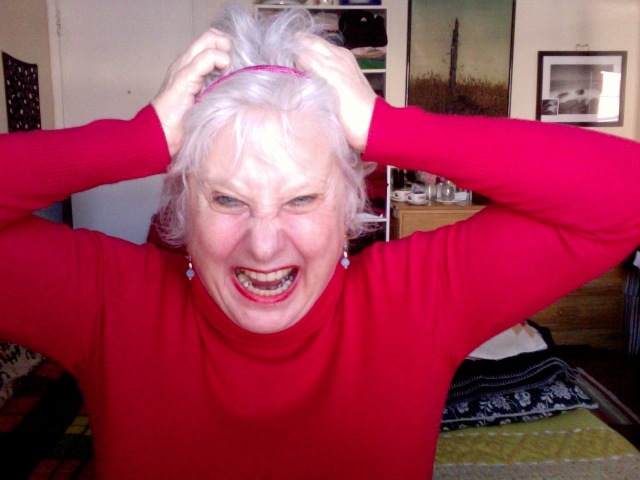 Help a 65-year old writer, musician, blogger, vlogger see her two youngest kids and experience a real fun time in New York and maybe make some contacts at the same time! And even if the work-fantasy doesn’t materialize, I can still wander the streets of NYC feeling blessed to do so before I die! I can still LEAVE CHICAGO AFTER ALMOST 7 YEARS OF NOT LEAVING CHICAGO FOR EVEN A DAY. I can still get a new perspective in life and we all need that. If you can help me, great. If not, read What Does She Want anyway and tell me what you think.